JJS Manufacturing helps manufacturers of low to medium volume, high complexity Industrial Electronics products focus on the core activities that deliver value to them. We provide complete outsourced manufacturing solutions, allowing our customers to spend their time developing and selling new and better products. Ranked as one of the largest UK EMS providers with a wholly owned off-shore manufacturing facility in the Czech Republic, for over 34 years we have been supporting our clients in growing their businesses. During this time, we have watched our customers develop innovative new products, dominate market sectors, and significantly improve the financial strength of their organisation. 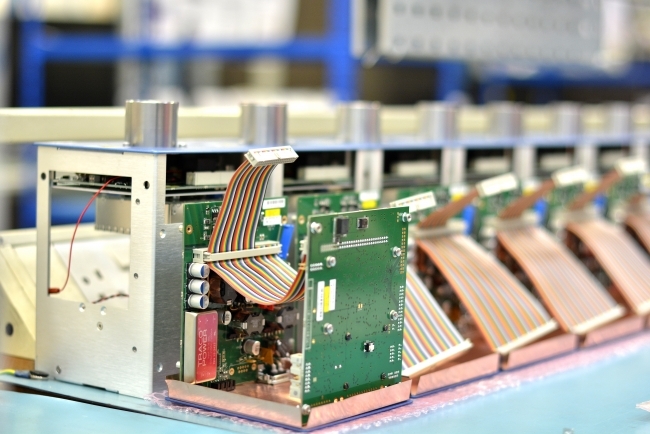 We offer a complete, complementary range of electronic and electro-mechanical assembly services and solutions, underpinned by our demonstrable track record in supply chain management. Ensuring the integrity and availability of the material we source is something we take very seriously which is why we have over 50 staff across the group dedicated to this critical process. You design and sell great products, we build and deliver them for you. Our supply chain management service takes the strain out of component shortages and counterfeiting issues for you, and minimises the disruption to your supply chain. Whether through hole (conventional) or surface mount (SMT) assembly, our experts can assist you on product prototyping, as well as volume manufacture of complex, multi-technology PCB assemblies. We have considerable expertise in setting up flexible “lean lines” which provide a total turnkey manufacturing environment for highly configurable, complex, “box build” solutions, to meet any requirement. JJS Manufactring’s origins lay in custom cable and wiring loom assembly; from simple point-to-point cables and straightforward looms to multi-component assemblies and complex looms. Our control cabinet service allows for complete integrated rackmount solutions to be professionally built against customer specifications and technical drawings, from prototypes to full production requirements. Uncommon among today’s electronics manufacturing services partners, JJS has a high level of proficiency in electro-mechanical and non-electronics based precision mechanical assembly techniques.